No one could ever accuse Babyologists of not supporting the Lego industry! We love Lego and have reviewed many Lego creations in the past (see them all here). 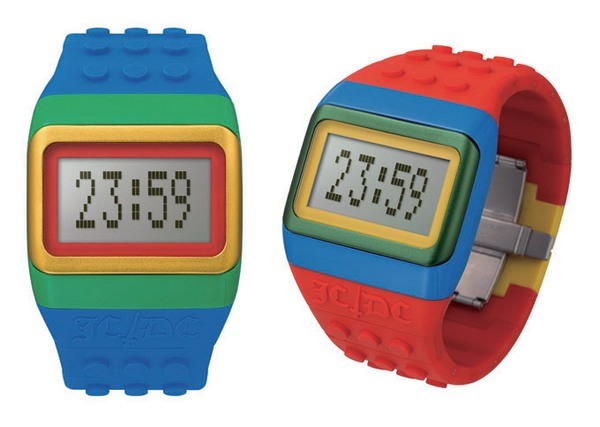 So imagine how much kudos you’d earn with your kids by stepping out in a Lego watch! I love these colourful JCDC watches, inspired by Lego and all things pop from the eighties. Named ‘Pop Hours’, the watches are reminiscent of the classic Casio shape and come packaged in a box shaped like a Rubik’s cube. They’re due for release before the end of the year. 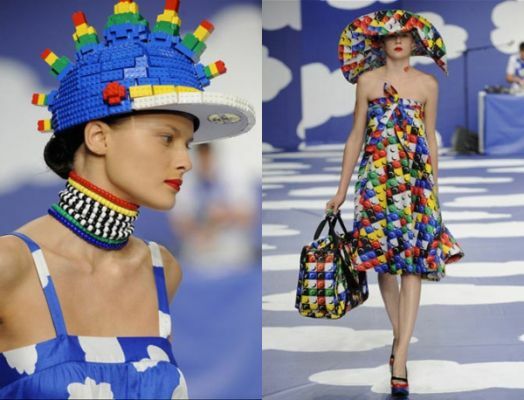 In fact, designer Jean Charles de Castelbajac has created a whole collection around the bright primary colours of Lego. And while it may be more suited to the catwalk than school pick-up, it is oodles of fun nonetheless. Clearly de Castelbajac loves his Lego collection, because he created a Lego fashion show, complete with a Lego Anna Wintour in the front row, which is truly spectacular – you’ll never look at your kids’ Lego people in the same way again!